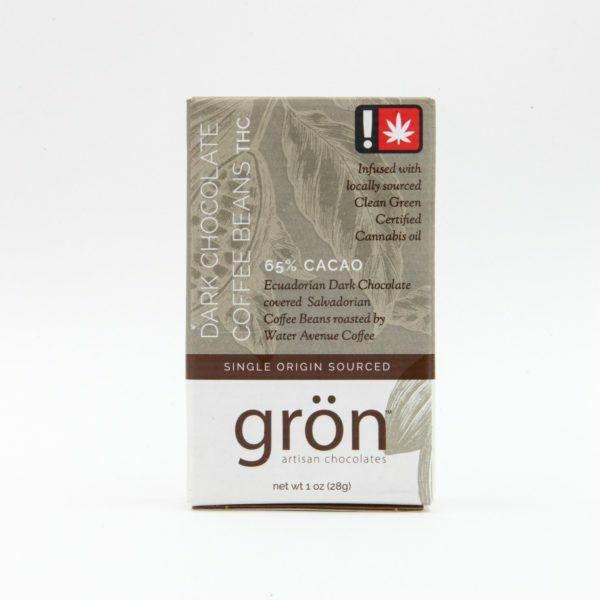 Grön makes every square of their melt-in-your-mouth chocolate using hand harvested, fair trade cocoa beans. These bits are locally roasted, single origin Ecuadorian Salvadorian coffee beans that have been covered in their well crafted dark chocolate. These small bite doses are wonderful for those who want a light amount of chocolate to get a high and an extra pep in your step from the added caffeine. Accompanying the delicious flavor comes a healthy dose of THC to slowly bring on a complete body and mind high.